In general, world music is not a producer-led genre. Garth Cartwright would probably go so far as to say that the less obvious the producer is, the better the music is. This programme is not for him, since most tracks betray the hand of a producer at the mixing desk and often in the musicâ€™s design and concept too. 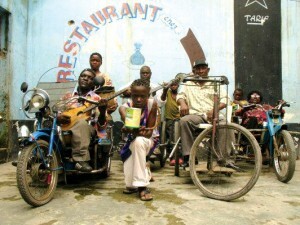 The Belgian producer Victor Kenis has previously brought us the albums by Konono #1 and #2 and Kasai All Stars, in which he took a background but still important role, and now he has captured the vivacity of the Staff Benda Bilili, the band of wheelchair-bound musicians whose album Tres Tres Fort lights up the room every time it is played. The Very Best is a studio project in its conception, since there is no band as such, just a couple of producers and the singer Esau Mwanmaya, who often provides his own backing vocals. It may be light on obvious melodies and song structures but the album gets better the deeper I probe into it. 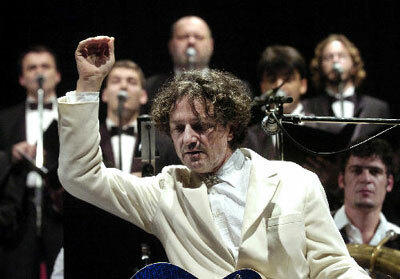 Goran Bregovic is an unusual, possibly unique combination of a frontman on stage and a backroom boffin in the studio where he often adapts established songs for use in film soundtracks. Since his career is so long and his range so wide, itâ€™s a surprise to encounter a very coherent â€˜best ofâ€™ album, wisely titled Welcome to Bregovic. The Israeli singer Yasmin Levy is the latest Mediterranean vocalist to fall into the hands of producer Javier Limon, and although the early tracks on the album tend to feature Yasmin at her most emotive, the second half settles into a very agreeable sequence. The collective of Barcelona musicians, Ojos de Brujo, has always been a self-producing venture, which worked against them when everybody in the band was given an equal chance to make sure their fader was pushed up a bit further on the mixing desk. But on Aocana they seem to have settled down and allowed the music to sound more coherent. Lead vocalist Marina gets better all the time. With the advantage of hindsight, itâ€™s not a surprise to discover that the producer of Mayra Andradeâ€™s new album Storia Storia is Brazilian. I had not previously noticed the name of Brazilian producer AlÃª Siquera, but an investigation of his website http://www.montuno.com/index2.html reveals that he has worked with Tom ZÃ© and Arnaldo Antunes among others. This gorgeous album is luxurious and full of tunes, and should help to pull (or push) Mayra closer to mainstream recognition. The recent news that Chris Evans is to replace Terry Wogan on Radio 2 does not bode well for such an album, although Terry himself never used his position to champion music not in English. The fact remains that many tracks here would delight a British audience, if only they could be heard. 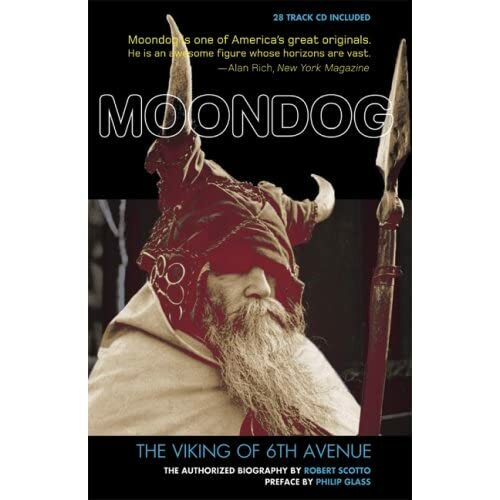 Moondog was a street musician in New York during the 1950s and â€˜60s, whose improbable story is well told in the book Moondog â€“ The Viking of 6th Avenue by Roberto Scotto. Nobody produced Moondog. He was a phenomenon who could only be documented, never directed or diverted. DVA is the Czech who share certain elements of Moondogâ€™s craziness. Although they always know what they are doing, they have the self confidence to let themselves play loose and wild at times, and the effect can be surprisingly similar to Moondog. Just listened to your presentation of Goran Bregovic's Tale III--do you realize that it's actually a fairly faithful transcription of a traditional Georgian (Caucasus) folk song called "Tsintsqaro" ("at the spring")--mind you, not nearly as good as traditional Georgian renditions (look for Hamlet Gonashvili's version, available on YouTube, for example). p.s. I love Moondog's Lament I: Bird's Lament--that wonderful weird base rhythm underlying the solo saxes makes it work.